As Chelsea mentioned in her tender post yesterday, there have been some exciting new opportunities for the StyleMutt Home team this summer. Chelsea has landed our first corporate eDesign client with Sonder - lodging "as reliable as a hotel, but with all the warmth and character of a home" (check back in tomorrow to read about her SMH designed unit in Boston). Our fabulous intern McKenna has made the move to the West Coast with a new fiance in tow and making magic happen in their new apartment (which I can't wait for her to share here with us soon!). 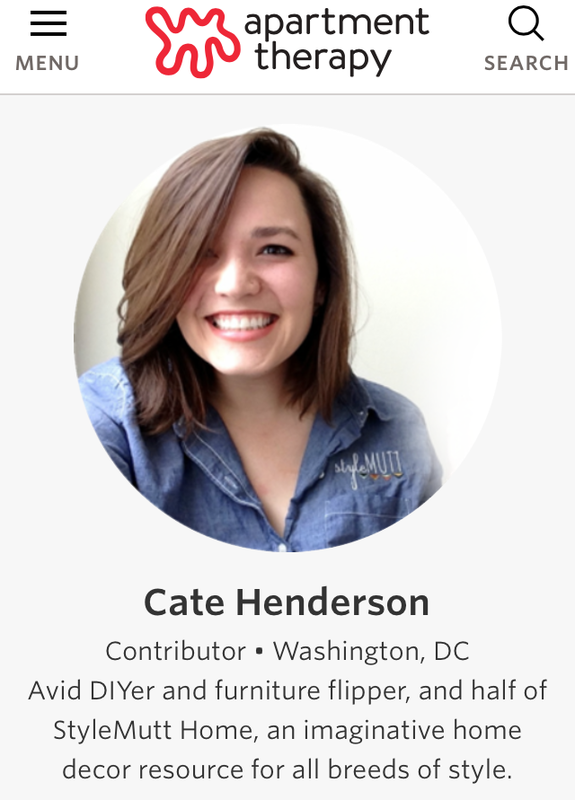 And as for me, well, I am pleased to announce that I am now a regular DIY contributor on Apartment Therapy! God has been so good to us at StyleMutt Home - stretching us, growing us, challenging us, and humbling us. We are all so grateful for the opportunities He's given us. I am deeply blessed to be working alongside such a talented SMH team - to give and receive the support of these ladies as we each forge a new path for our collective business. Come back next week for more details on this dresser's transformation and how it checks another item off my 2017 Furniture Flip Bucket List.